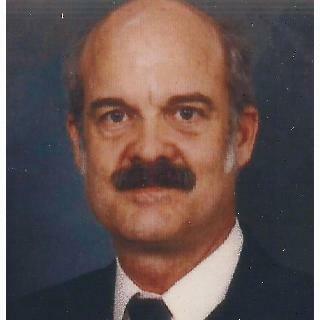 Passionate about aviation, Bruce was a private pilot and built experimental aircraft. He also enjoyed spending time with his wife, children, and grandchildren. The pilot was returning to the airport from a local personal flight. The airplane completed two low approaches and then made a left turn to reenter the traffic pattern. Two witnesses reported that, when the airplane was on the downwind leg of the traffic pattern, the engine sound changed; one reported that the engine sputtered and "cut out." The airplane then banked left and pitched nose down before impacting the ground, consistent with an aerodynamic stall. The propeller governor was examined, and no pre-impact anomalies were noted. The examination noted scrape marks on the propeller governor. According to the manufacturer, the scrape marks were made when the gears were turning opposite the direction of normal rotation, indicating that the propeller was not rotating to propel the airplane forward when the marks were made. An examination of the airframe and engine revealed no evidence of pre-impact mechanical malfunctions or failures; however, extensive thermal damage precluded a detailed examination. Additionally, the airplane's fuel state prior to the accident could not be accurately determined. Toxicological testing identified 0.024 ug/ml of diphenhydramine in heart blood and detected diphenhydramine in urine. The postmortem blood diphenhydramine level was below the therapeutic range, which suggests that the pilot's level was likely below therapeutic and impairing levels at the time of the crash. Therefore, it is unlikely that the pilot's use of diphenhydramine at some time before the accident flight contributed to the accident. A loss of engine power for reasons that could not be determined due to extensive postcrash fire damage. Also causal was the pilot's loss of airplane control, resulting in an aerodynamic stall and subsequent impact with terrain. On April 24, 2016, about 1745 eastern daylight time, an experimental amateur-built Acroduster, N380JA, impacted terrain while maneuvering in the traffic pattern at the Oakhill Airpark (SC82), Belton, South Carolina. The private pilot was fatally injured, and the airplane was destroyed. The pilot was the registered owner of the airplane and was operating it under the provisions of Title 14 Code of Federal Regulations Part 91. Visual meteorological conditions prevailed, and no flight plan was filed for the local personal flight, which originated from SC82 about 1645. According to a pilot witness at SC82, the accident pilot taxied the airplane to the approach end of runway 28, performed an engine run up, which included "cycling the prop[eller]," and then departed without incident. About 30 minutes later, the witness heard the airplane return to the airport. The accident pilot completed two low approaches to runway 28; following the second approach, he made a left turn to reenter the traffic pattern. The witness stated that the pilot "usually" performed several low approaches before landing "in order to make sure he had the landing made." When the airplane was on the downwind leg of the traffic pattern, the witness heard the it's propeller pitch change to a "low pitch, high rpm sound." This witness did not see the accident. Another witness reported that the airplane was on the downwind leg of the traffic pattern when the engine "sputtered" and "cut out" several times. The airplane then banked to the left, descended, and impacted the ground nose down. 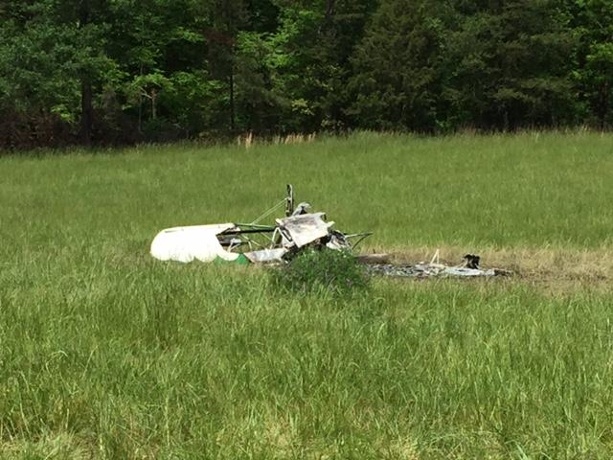 According to Federal Aviation Administration (FAA) records, the pilot held a private pilot certificate with an airplane single-engine land rating. The pilot was issued a third-class medical certificate on March 3, 2016. At that time, he reported 420 hours of total flight time of which 28 hours were in the six months before the medical examination. In addition, the pilot held a repairman experimental aircraft builder certificate for the airplane that was issued on May 13, 2013. According to FAA records, the two-seat, tailwheel biplane was built by the pilot, and an airworthiness certificate was issued for the airplane on April 21, 2013. It was powered by a Continental Motors IO-360-series, 210-horsepower engine that was equipped with a two-blade McCauley constant-speed propeller. According to the airplane's maintenance logs, when the accident occurred, the airplane had a total flight time of about 24.7 hours. An entry dated December 20, 2014, at a total time of 22.9 hours, stated that there was a "landing incident," and the wings, engine, and propeller were removed for repairs. An entry dated January 2, 2016, detailed the repairs made to the airframe, engine, and propeller. An entry dated April 10, 2016, stated that the pilot performed a condition inspection of the airplane at a total time of 22.9 hours. An additional entry dated April 10, 2016, stated, "first flight ok after rebuild." No fueling information was located during the investigation. The airplane had a total fuel capacity of 36 gallons. The 1747 recorded weather observation at Donaldson Airport (GYH), Greenville, South Carolina, located about 10 nautical miles north of the accident location, included calm wind, visibility 10 miles, clear skies below 12,000 ft above ground level, temperature 25°C, dew point 8°C, and barometric altimeter setting of 30.03 inches of mercury. SC82 was a private-use airport that did not have an operating control tower. The airport was equipped with one runway designated as 10/28, which was 2,400 ft-long by 100 ft-wide. The runway was reported as a turf runway "in good condition" at the time of the accident. The airport was 837 ft mean sea level (msl). The main wreckage was located in a hay field about 1,225 ft south of the centerpoint of the runway, at an elevation of 796 ft msl. The airplane came to rest on a 158° heading. All components of the airplane were located in the vicinity of the main wreckage. A burn pattern that measured about 12 ft by 18 ft was noted on the ground co-located with the main wreckage. The left wings were bent aft and consumed by postimpact fire. The right wings were bent forward, and the inboard sections of the wings were consumed by postimpact fire. The fuselage and cockpit were consumed by postimpact fire. The fuel tank located above the forward cockpit position was partially consumed by postimpact fire. The fuel cap remained seated in the filler neck but was thermally damaged, and the tank was separated from the top wing. The empennage remained intact and attached to the fuselage. The inboard skins of the left horizontal stabilizer and elevator were consumed by postimpact fire. The vertical stabilizer and rudder skins were consumed by postimpact fire. The right horizontal stabilizer and elevator exhibited heat damage to their inboard sections. Control continuity was confirmed from the flight controls in the cockpit to all flight control surfaces. The propeller remained attached to the crankshaft; one blade was bent aft about 45°; and the other blade was undamaged. The spinner exhibited crush damage on the upward facing side, and the other side was undamaged. One propeller blade pitch change link was fractured. The other blade pitch change link remained secure. The propeller control cable remained attached to the propeller control in the cockpit. The engine was removed from the airframe for further examination. Crankshaft and valve train continuity and piston movement were confirmed by rotating the crankshaft. The top spark plugs were removed. Their electrodes were intact, dark gray in color, and displayed normal wear. An internal boroscope examination of all cylinders noted no anomalies. Both magnetos were impact-separated and exhibited thermal damage when disassembled. The propeller governor remained attached to the engine. The fuel pump was removed and disassembled, and thermal damage was noted to the components. The fuel lines forward of the firewall remained intact and attached. All fuel injector lines remained attached to the nozzles, and the nozzles were free of debris. The Office of the Medical Examiner of the County of Greenville performed the autopsy on the pilot in Greenville, South Carolina. The autopsy report indicated that the pilot died as a result of thermal injuries. The FAA's Bioaeronautical Sciences Research Laboratory, Oklahoma City, Oklahoma, performed toxicological testing of the pilot. Fluid and tissue specimens from the pilot tested negative for carbon monoxide and ethanol. Diphenhydramine was detected in the urine and 0.024 (ug/ml, ug/g) of diphenhydramine was detected in the heart blood. Diphenhydramine is a sedating antihistamine used to treat allergy symptoms and as a sleep aid. It is available over the counter under various names including Benadryl and Unisom. The therapeutic range of diphenhydramine in blood is 0.0250 to 0.1120 ug/ml. The propeller governor was removed and retained for further examination. An examination at the manufacturer's facility revealed that the pump cavity exhibited a scrape mark; there were corresponding scrape marks on both the idler gear and the drive gear of the pump. According to the manufacturer, the scrape marks were made when the gears were turning opposite the direction of normal rotation, indicating that the propeller was not rotating with speed in the forward direction when the marks were made. There were no anomalies found that would have precluded normal operation of the propeller governor before the impact. On April 24, 2016, about 1745 eastern daylight time, an experimental amateur-built Acroduster, N380JA, operated by a private individual, was destroyed after impacting terrain while maneuvering near Belton, South Carolina. The private pilot was fatally injured. Visual meteorological conditions prevailed, and no flight plan was filed for the flight, which originated from Oakhill Airpark (SC82), Belton, South Carolina, around 1645. The personal flight was conducted under the provisions of Title 14 Code of Federal Regulations Part 91. According to Federal Aviation Administration (FAA) records, the two seat, tail-wheel, bi-plane was owned by the pilot, and issued an airworthiness certificate on April 21, 2013. It was equipped with a Continental Motors Inc. IO-360 series, 210-horsepower engine, and driven by a two-blade McCauley constant-speed propeller. According to a witness at SC82, the pilot taxied the airplane to the approach end of runway 28, performed an engine run up, which included "cycling the [propeller]" and then departed without incident. Approximately 30 minutes later, the witness heard the airplane return to the airport. The airplane completed two aborted landings to runway 28, and then made a left turn to reenter the traffic pattern. While on the downwind leg of the traffic pattern, he heard the airplane propeller pitch change to a "low pitch, high rpm sound." Another witness reported that the airplane was on the downwind leg of the traffic pattern, when the engine "sputtered," and "cut out" several times. The airplane then banked to the left, and impacted "the ground nose first." The main wreckage was located in a hay field about 1,225 feet abeam the centerpoint of the runway, at an elevation of 796 feet above mean sea level. The airplane impacted the field and came to rest on a 158 degree heading. All components of the airplane were located in the vicinity of the main wreckage. The left wings and fuselage were consumed by fire. The right wing and empennage were partially consumed by fire. Control continuity was confirmed from the flight controls in the cockpit to all flight control surfaces. The engine was removed from the airframe for further examination. Crankshaft and valve train continuity, and piston movement were confirmed by rotating the crankshaft. The top spark plugs were removed. Their electrodes were intact and dark gray in color. Internal examination of all cylinders with a boroscope was performed with no anomalies noted. Both magnetos were impact separated and exhibited thermal damage when disassembled. The propeller governor remained attached to the engine. The propeller remained attached to the crankshaft, one blade was bent aft approximately 45 degrees, and the other blade remained straight. The propeller and propeller governor were removed and retained for further examination. According to Federal Aviation Administration (FAA) records, the pilot held a private pilot certificate for airplane single engine land. The pilot was issued a third-class medical certificate on March 3, 2016. At that time he reported 420 hours of total flight time, of which, 28 hours were in the previous 90 days. In addition, the pilot held a repairman experimental aircraft builder certificate that was issued on May 13, 2013. According to airplane maintenance logs, the airplane had a total time of about 24.7 hours of flight time. In addition, a condition inspection was performed on the airplane by the pilot/owner on April 10, 2016, at a total time of 22.9 hours.